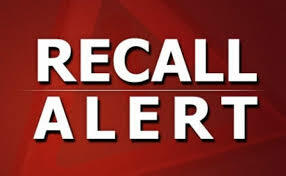 UPDATE: March 20, 2019 - Hill's has expanded their voluntary recall to include new canned dog food diets as well as expanded date/lot codes for previously recalled diets. Please see their website for the expanded recall. Newly added products are BLUE on the list. Hill's is voluntarily recalling a specific set of CANNED DOG FOOD only for elevated levels of Vitamin D.
The food affected was available at veterinary offices (Hill's Prescription Diet) and retail stores (Hill's Science Diet). Please call our office with any question or concerns you may have or to schedule an exam if your pet is exhibiting any signs or symptoms listed. The goal of the staff at the Country Doctor Veterinary Hospital is to provide high quality care in a warm, friendly atmosphere. We practice client education because knowledgeable clients can make better decisions for their pets. We stress disease prevention and early intervention because they offer the best options for medical treatment. We believe that each pet in its family situation is unique and the medical choices must be tailored to meet those specific needs. The doctors and staff of the Country Doctor Veterinary Hospital strive to provide the ideal combination of state of the art diagnostics and current medical therapy with realistic options and compassion. Thank you for taking the time to read about our veterinary practice and the services we offer. We welcome your comments and suggestions. Please contact us at (610)298-2520 for all your pet health care needs.